Fairy Tales Puzzles. Puzzles and videos for kids. 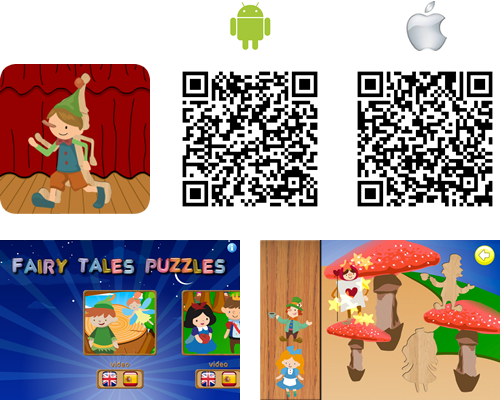 Learn about different fairy tales stories and have fun with simple puzzles and exciting videos. Easy Animal Puzzles. The appropriate level of difficulty. A puzzle game created for toddlers. 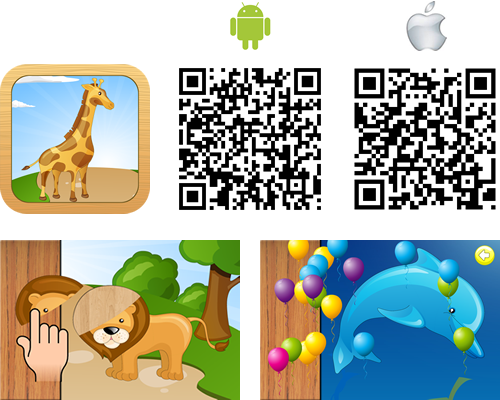 They can learn about different animals and have fun with simple puzzles. Baby Magic Touch. Early Stimulation & Development. 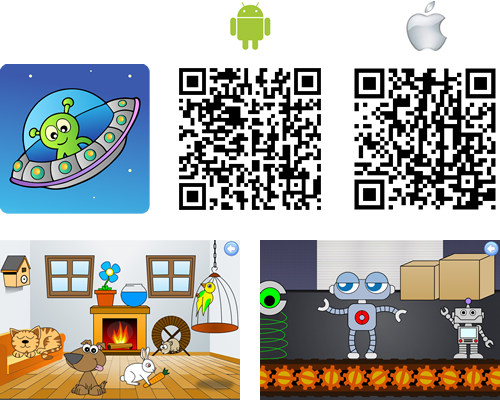 An animated App designed for small children to have fun with the family. 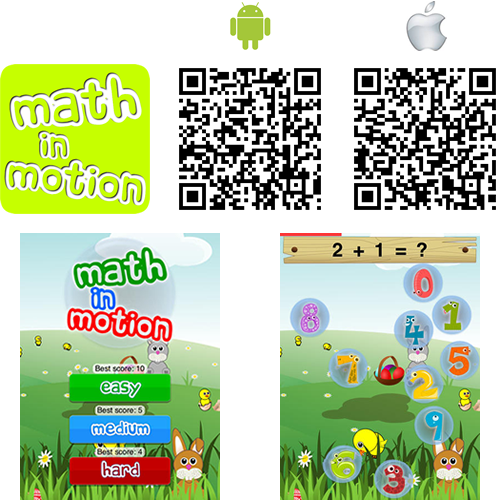 Math in Motion for kids. Fun Maths. With this App, kids have fun while practicing math. It includes 3 levels of difficulty to suit the needs of each child. English Vocabulary in Motion. Enjoy practicing. 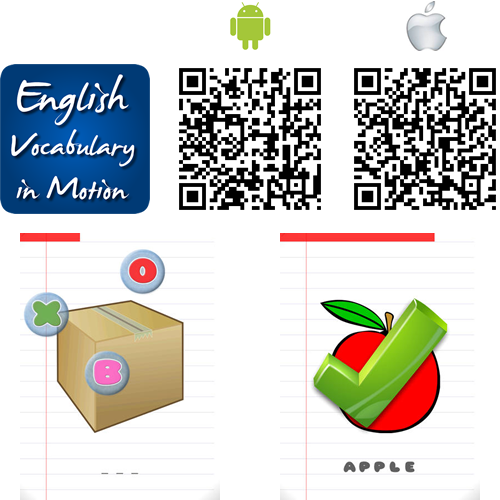 An App in which you have fun while practicing your English vocabulary. 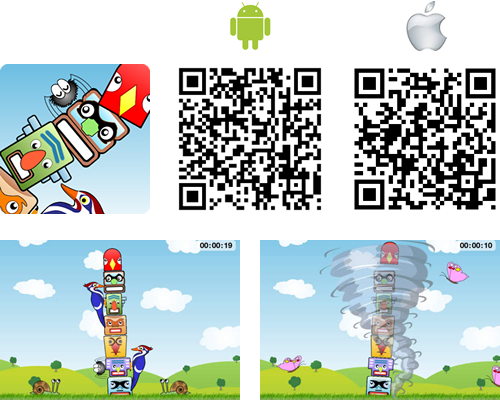 Tilt your device to prevent the totems tower crash! The game includes two game modes and 80 levels where you have to test your ability and balance using the accelerometer.